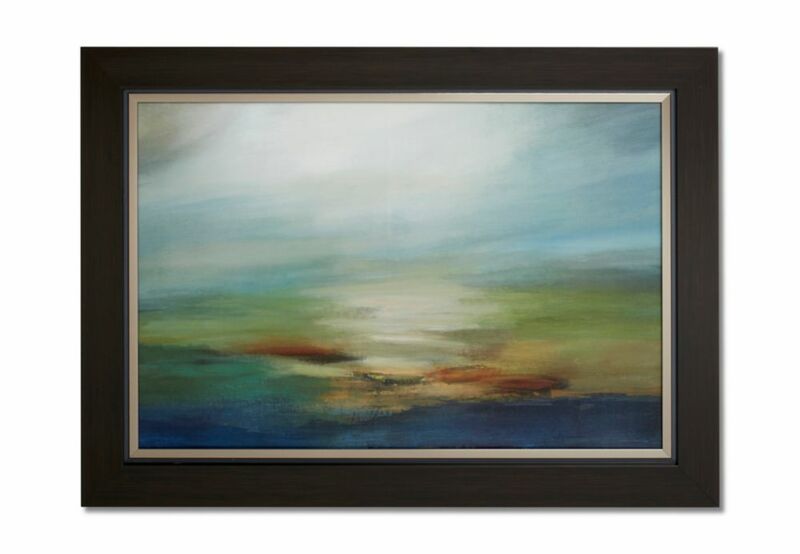 This unique abstract has been hand applied with a gel coat finish to give it a texturized canvas look. Colours and design of imagery based around today's popular home dicor colour pallets to create a focal point in your space. 4" espresso brown finish frame with a silver lining. Colours and design of imagery based around today's popular home décor colour pallets. First Light This unique abstract has been hand applied with a gel coat finish to give it a texturized canvas look. Colours and design of imagery based around today's popular home dicor colour pallets to create a focal point in your space.